Elisa Sierra had just given birth to twins when she became infected with West Nile virus. The infection left Sierra, who lives on the West Side of El Paso, Texas, with meningitis and damaged her brain. Sierra is a clinical social worker who used to provide therapy. She’s in a similar line of work following her 2015 illness, but she doesn’t provide counseling any more because she’s no longer confident she can think quickly enough. West Nile survivor Elisa Sierra at her home in El Paso, Texas. City data shows Sierra is one of about 100 people in El Paso who have been affected by a severe form of West Nile since 2000, which was around the time it was discovered in the U.S.
As El Paso and other governments work to reduce infections, a new analysis by Climate Central shows rising temperatures have increased the number of days each year when mosquito-borne diseases are likely to be spread across the United States. Some of the greatest increases in risk occurred in El Paso. Climate Central analysts examined the number of days each year that temperatures were optimal for the transmission of mosquito-borne diseases, which is between 61°F and 93°F. There were more than 240 such days in El Paso last year. Of the 244 cities analyzed, most were found to have experienced an increase in the average number of mosquito disease danger days each year since 1970. 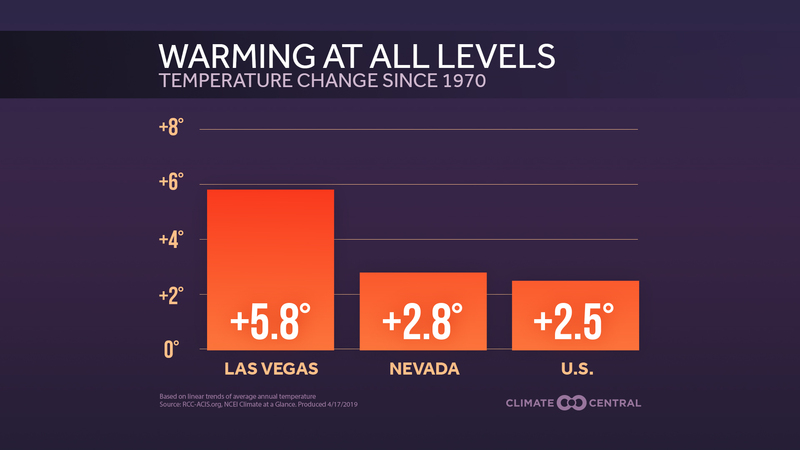 El Paso's increase of 33 days was a larger rise than all but four other cities — Reno, Nev., Las Cruces, N.M. and San Francisco and Santa Maria, Calif. In El Paso, West Nile is the mosquito-borne disease of main concern. In other cities around the world, Zika, dengue, chikungunya, Yellow Fever and Eastern Equine Encephalitis viruses are also spreading. Each of these diseases can cause crippling health problems, and each of them depends on specific environmental conditions to thrive. 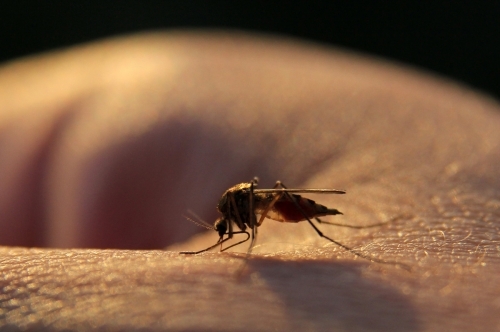 “Transmission of mosquito-borne diseases depends on a bunch of different biological processes,” said Marta Shocket, a Stanford University biologist investigating the role of temperature on the spread of diseases by mosquitoes. 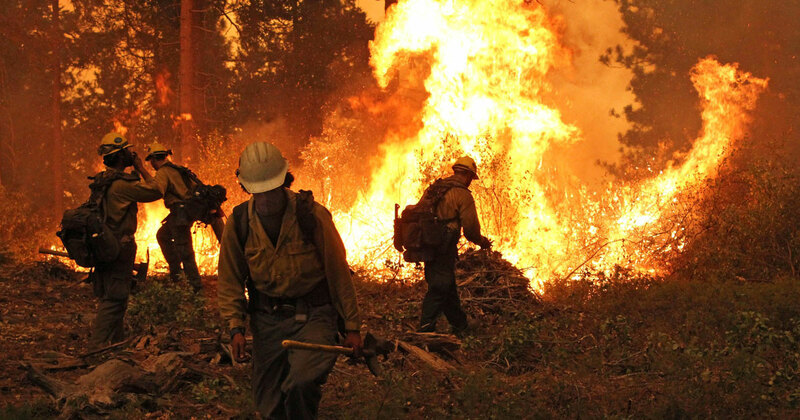 Temperatures are rising because of pollution from cars, power plants and logging. As the Trump Administration weakens climate protections, El Paso is among more than 1,000 cities pushing through a national association of mayors for aggressive steps to address climate change. While risks of contracting diseases from mosquitoes have risen with temperatures, it’s difficult to measure the impacts. 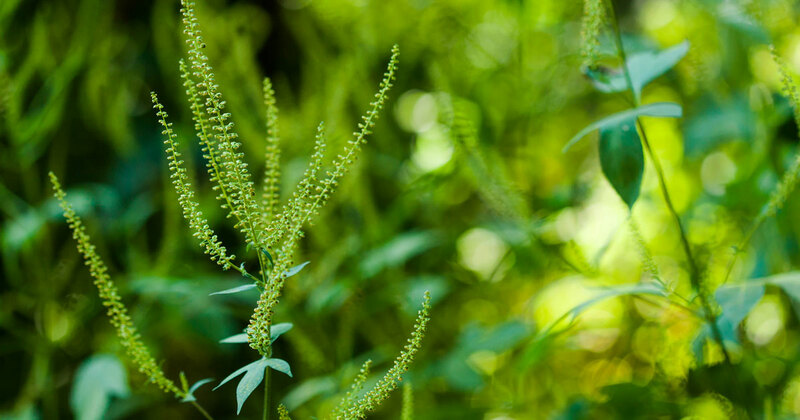 Other factors also influence transmission rates, such as efforts to reduce mosquito populations, keep them out of homes and eliminate standing water. And diseases continue to emerge and spread into new areas. An El Paso man, who asked that his name be withheld when discussing his medical history, was among 14 people in El Paso diagnosed last year with the serious neuroinvasive disease that the West Nile virus can cause. The man said he didn’t realize he’d been bitten by a mosquito until the West Nile virus reached his brain, nearly killing him. “I didn’t have any welts,” he said. Following visits to an emergency care clinic as he suffered a neurological breakdown, he was hospitalized and diagnosed with the most serious form of disease the virus can cause, which occurs when the virus invades the nervous system. He had to learn to walk again and is sensitive to light. It hurts his eyes, and sometimes exposure makes him sneeze uncontrollably. He suffers from aches and has become more vulnerable to other health problems. City officials spray pesticides to control mosquito populations and urge residents to prevent the pests from breeding by checking for standing water. They also suggest using bug spray and wearing long-sleeved shirts and long pants to avoid being bitten, particularly around dusk and dawn. 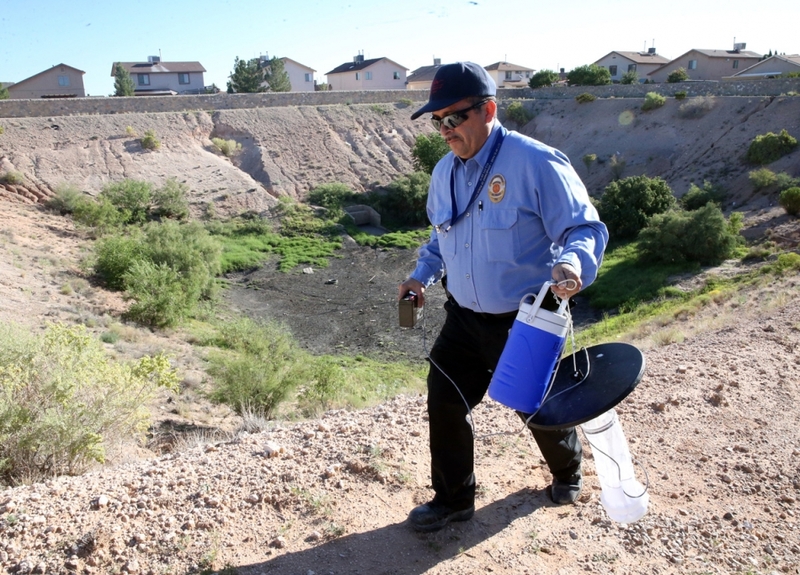 Vector Control code compliance officer Carlos Sarmiento carries a mosquito trap out of a ponding area along Tierra Dorada Drive across from Chester E. Jordan Elementary School in East El Paso. Sarmiento counted seven mosquitoes trapped inside. Doug Watts, a researcher at the University of Texas, El Paso, has been working with a pediatrician to test samples from new mothers for West Nile antibodies. The samples suggest that just 4 percent of El Paso residents have been infected during their lifetimes. 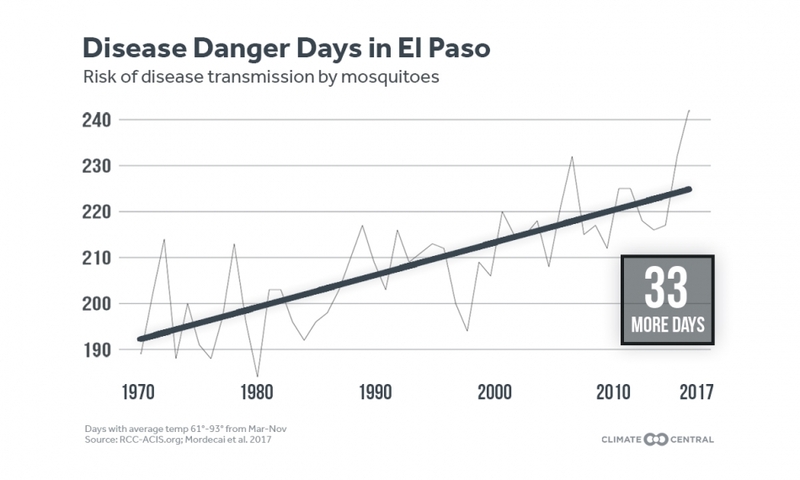 Perhaps counterintuitively, the limited exposure of El Paso residents so far to West Nile virus can make them more vulnerable to the disease, Watts said. Three years after her infection, Sierra is angry that her condition wasn’t diagnosed by medical staff more quickly. She’s also frustrated that it’s hard to find specialists who can help her. Sierra is slowly recovering from the disease, but she expects it will affect her for the rest of her life. This story was produced through a partnership with the El Paso Times.